Route to Market Consultancy - Alpha Design & MarketingAlpha Design & Marketing Ltd. So you’ve got your brand, packaging and marketing plan sorted but how do you get the attention of multi national retailers? We have experience with approaching and liaising with supermarkets and can help you to achieve listings for your products. The route to market is the most important part of any product’s journey but probably the most neglected, overlooked and disliked part of the NPD (New Product Development) process. You may have the best product in the world but unless you can communicate the benefits of the brand and sell your product to wholesalers, retailers or direct to end users your business isn’t going anywhere. Alpha can help with all of the stages listed below from brand creation to selling to buyers to get listings with wholesale and retail distributors. We have a proven track record with our own brand ‘Beyond Dark’ which is available from Sainsbury’s, Holland & Barrett, Harrods and over 1000 independent retailers. Alpha Design & Marketing can help you apply for subsidised support to help cover the costs of route to market services to grow your business. 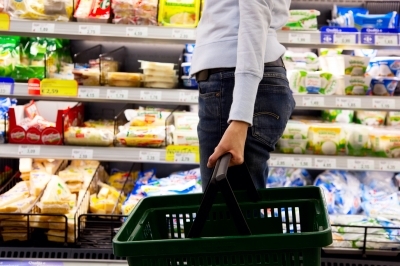 Simply put, we can help you to sell your products in supermarkets.